This past year we started to use air purifiers in our home. Humidity is no stranger here, and one of the main roads is under construction just a few blocks away, it’s pretty dusty in the air. For the most part, air purifiers are set it and forget it. However, there are three important tips for using air purifiers in your home, that will keep them working at their maximum ability. These things are why the Airfree Onix 3000 is keeping the air cleaner in our home. Where you place the air purifier is an important part of its function. Make sure it has breathing room and isn’t too close to any walls or furniture. Placing the air purifier too high or low can also affect how well it cleans the air. This is especially important in larger rooms. Air purifiers come in a variety of sizes and recommended room sizes so keep those in mind when placing it. The Airfree Onix 3000 we have in the living room is recommended for up to 650 square feet. Another purifier we have in a smaller bedroom is only recommended for 206 square feet, so you can see the sizes really do vary. Because air purifiers are cleaning the air in your home, they get quite dirty. Check your air purifier manual to see how often you should check your filters and mark it on your calendar.If you are thinking “I don’t want to mess with the maintenance of an air purifier” than Airfree Onix 3000 is what you want! 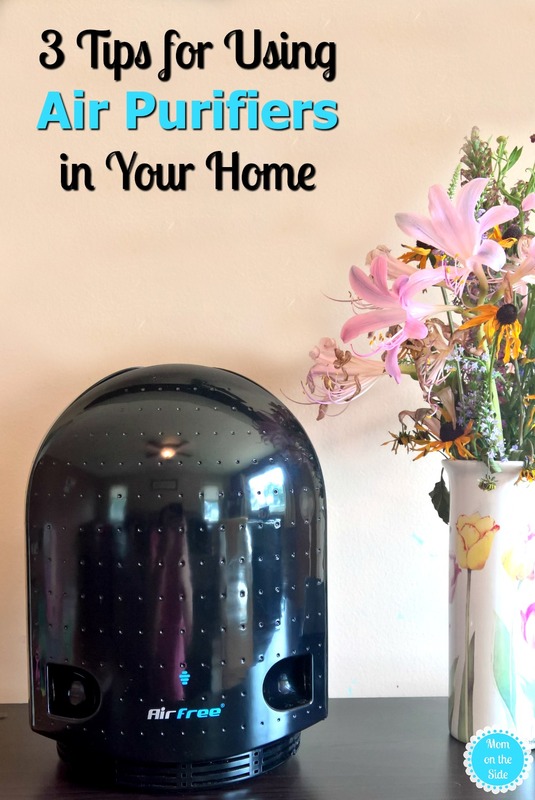 A no maintenance air purifier that truly is set it and forget it. I know, I questioned it too when I first found out. I was curious as to how Airfree’s exclusive technology worked, to the point that I didn’t have to do anything. Well, it eliminates microorganisms and allergens by destroying them in a fraction of a second. Similar to how boiling water sterilizes. 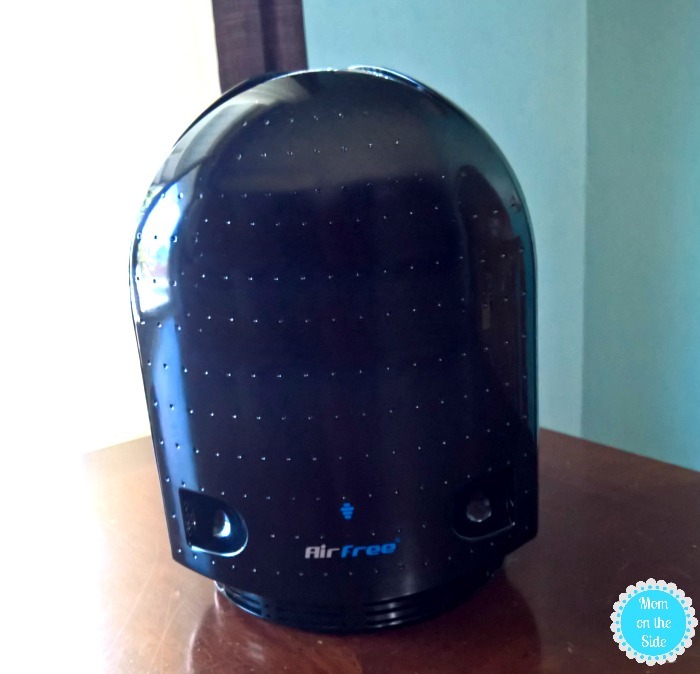 Airfree continually draws in air from the room, heating it to over 400°F and instantly sterilizing it. The purified air is then cooled inside the device before being returned to the room. You literally plug it in and that’s it! The best thing for using air purifiers in your home is to leave them on. Let them do their job even when you are not home. Many of them are energy efficient, like Airfree Onix 3000, and have low energy consumption. Another thing about Onix 3000 that I love is that it’s completely silent! It runs all it wants and I don’t hear a thing! 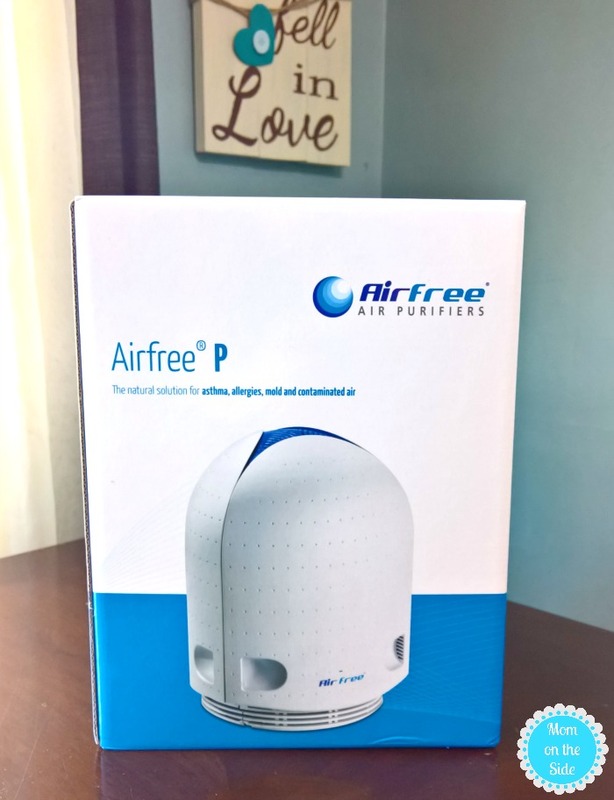 Airfree is the natural solution to asthma, respiratory allergies and mold. Eliminates dust mites, bacteria, fungi, virus, pollen, allergens of domestic animals and other microorganisms from the air. Airfree P English from Airfree on Vimeo.